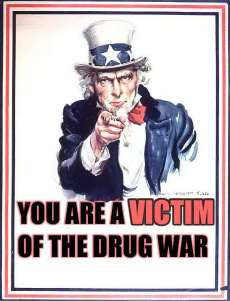 The War on Drugs is a campaign of prohibition and foreign military aid intervention being undertaken by the United States government, with the assistance of participating countries, intended to reduce the illegal drug trade. This initiative includes a set of policies of the United States that are intended to discourage the production, distribution, and consumption of illegal drugs. The term “War on Drugs” was first used by President Richard Nixon on June 17, 1971. Although Nixon popularized the term “War on Drugs“, the policies that his administration implemented as part of the Comprehensive Drug Abuse Prevention and Control Act of 1970 were a continuation of drug prohibition policies in the U.S. stretching back to 1914.The first U.S. law which restricted the distribution and use of certain drugs was the Harrison Narcotics Tax Act of 1914. In 1920, the United States passed the National Prohibition Act along with the 18th Amendment which prohibited the sale, manufacture, and transportation of alcohol for consumption on a national level. In 1933 was the federal prohibition for alcohol repealed. In 1937, the Marijuana Transfer Tax Act was passed. In 1936 the Federal Bureau of Narcotics (FBN) noticed an increase of reports of people smoking marijuana, which further increased in 1937. The Bureau drafted a legislative plan for Congress, seeking a new law that would place marijuana and its distribution directly under federal control, and the head of the FBN, Harry J. Anslinger, ran a campaign against marijuana. FBN’s agents reported that stacks of the old 1934 and 1935 crop of harvested hemp were used as a source for marijuana dealers. The total production of hemp fiber in the US had in 1933 decreased to around 500 tons/year, then cultivation of hemp began to increase 1934-1935 but still at very low volume compared with other fibers. Several scholars have claimed that the goal was to destroy the hemp industry,largely as an effort of businessmen Andrew Mellon, Randolph Hearst, and the Du Pont family. These scholars argue that with the invention of the decorticator, hemp became a very cheap substitute for the paper pulp that was used in the newspaper industry. These scholars believe that Hearst felt that this was a threat to his extensive timber holdings. The claims that hemp could have been successful substitute for wood pulp have been based on an incorrect government report of 1916 that concluded that hemp hurds, broken parts of the inner core of the hemp stem, was a suitable source for paper production. This has not been confirmed by later research, as hemp hurds are not reported to be a good enough substitute. In 2003 were 95 % of the hemp hurds in EU used for animal bedding, almost 5% were used as building material. Mellon, Secretary of the Treasury and the wealthiest man in America, had invested heavily in the DuPont’s new synthetic fiber, nylon, and considered its success to depend on its replacement of the traditional resource, hemp. On October 27, 1970, the Nixon administration implemented the Comprehensive Drug Abuse Prevention and Control Act of 1970. In 1971. Two congressmen release an explosive report on the growing heroin epidemic among U.S. servicemen in Vietnam, ten to fifteen percent of the servicemen were addicted to heroin, and the Nixon administration coins the term War on Drugs. As early as 1982, Vice President George H.W. Bush and his aides began pushing for the involvement of the CIA and U.S. military in drug interdiction efforts. The Office of National Drug Control Policy (ONDCP) was originally established by the National Narcotics Leadership Act of 1988, which mandated a national anti-drug media campaign for youth, which would later become the National Youth Anti-Drug Media Campaign. The director of ONDCP is commonly known as the Drug Czar, and it was first implemented in 1989 under President George H. W. Bush, and raised to cabinet-level status by Bill Clinton in 1993. These activities subsequently funded by the Treasury and General Government Appropriations Act of 1998 formally creating the National Youth Anti-Drug Media Campaign. The Drug-Free Media Campaign Act of 1998 codified the campaign at 21 U.S.C. § 1708. The United States has the second highest incarceration rate in the world. Nearly 70% of people who are incarcerated are imprisoned for drug-related crimes. In 1994, it was reported that the “War on Drugs” results in the incarceration of one million Americans each year. Of the related drug arrests, about 225,000 are for possession of cannabis, the fourth most common cause of arrest in the United States. In 2008, 1.5 million Americans were arrested for drug offenses. 500,000 were imprisoned! In the 1980s, while the number of arrests for all crimes was rising 28%, the number of arrests for drug offenses rose 126%. Among the prisoners, drug offenders made up the same percentage of State prisoners in both 1997 and 2004 (21%). The percentage of Federal prisoners serving time for drug offenses declined from 63% in 1997 to 55% in 2004. The US Department of Justice, reporting on the effects of state initiatives, has stated that, from 1990 through 2000. “the increasing number of drug offenses accounted for 27% of the total growth among black inmates, 7% of the total growth among Hispanic inmates, and 15% of the growth among white inmates.” In addition to prison or jail, the United States provides for the deportation of many non-citizens convicted of drug offenses. Federal and state policies also impose collateral consequences on those convicted of drug offenses, such as denial of public benefits or licenses, that are not applicable to those convicted of other types of crime. Marijuana constitutes almost half of all drug arrests, and between 1990–2002, out of the overall drug arrests, 82% of the increase was for marijuana. In 1986, the U.S. Congress passed laws that created a 100 to 1 sentencing disparity for the possession or trafficking of crack when compared to penalties for powder cocaine. Largely criticized as discriminatory against minorities, mostly blacks, who were more likely to use crack than powder cocaine. Persons convicted in federal court of possession of 5 grams of crack cocaine received a minimum mandatory sentence of 5 years in federal prison. 500 grams of powder cocaine carries the same sentence. In 2010, the Fair Sentencing Act cut the sentencing disparity to 18:1. Blacks were far more likely to be targeted by law enforcement for drug crimes, and received much stiffer penalties and sentences than non-minorities,according to statistics from 1999. Those statistics show that such events were far more likely to take place in areas with high minority crime: low income housing neighborhoods, city projects etc. Statistics from 1998 show that there were wide racial disparities in arrests, prosecutions, sentencing and deaths. African-American drug users made up for 35% of drug arrests, 55% of convictions, and 74% of people sent to prison for drug possession crimes.Nationwide African-Americans were sent to state prisons for drug offenses 13 times more often than other races, even though they only supposedly comprised 13% of regular drug users. Some scholars have indicated that the phrase War on Drugs is propaganda.Cloaking an extension of military or paramilitary operations. Others have argued that large amounts of “drug war” foreign aid money, training, and equipment actually goes to fighting leftist insurgencies and is provided to groups who are involved in large-scale narco-trafficking, such as corrupt members of the Colombian military. One of the first foreign policy anti-drug efforts was President Nixon’s Operation Intercept, announced in September 1969 it targeted cannabis entering the United States from Mexico. It began with an intense inspection that resulted in an virtual shutdown of cross-border traffic.Due to the controversy in border states, the effort lasted only twenty days. On December 20, 1989, the United States invaded Panama as part of Operation Just Cause. This operation involved 25,000 American troops. Panamanian Gen. Manuel Noriega was providing military assistance to Contra groups in Nicaragua at the request of the U.S. In exchange the U.S. allowed his drug trafficking activities. When the Drug Enforcement Administration (DEA) tried to indict Noriega in 1971, the CIA prevented them from doing so.The CIA, then directed by future president George H. W. Bush, provided Noriega hundreds of thousands of dollars per year as payment for his work in Latin America. When CIA pilot Eugene Hasenfus was shot down over Nicaragua by the Sandinistas, documents aboard the plane revealed CIA’s activities in Latin America, and CIA’s connections with Noriega. These connetcions became a public relations “liability” for the U.S. government which finally allowed the DEA to indict him for drug trafficking. Operation Just Cause was intended to capture Noriega. Numerous Panamanian civilians were killed. Noriega found temporary asylum in the Papal Nuncio, and surrendered to U.S. soldiers on January 3, 1990. He was sentenced by a court in Miami to 45 years in prison. As part of the “War on Drugs” the U.S. gives hundreds of millions of dollars per year of military aid to Colombia, which is used to combat leftist guerrilla group FARC. FACE has also been involved in narco-trafficking. Colombian military personnel have received extensive counterinsurgency training from U.S. military and law enforcement agencies, including the School of Americas. Author Grace Livingstone has stated that more Colombian SOA graduates have been implicated in human rights abuses than currently known SOA graduates from any other country. All of the commanders of the brigades highlighted in a 2001 Human Rights Watch report on Colombia were graduates of the SOA, including the III brigade in Valle del Cauca, where the 2001 Alto Naya Massacre occurred. US-trained officers have been accused of being directly or indirectly involved in many atrocities during the 1990s, including the Massacre of Trujillo and the 1997 Mapiripán Massacre. US military schools and manuals have been training Latin American officers in Colombia and in the region at large since the 1960s, and have taught students to target civilian supporters of the guerrillas. The Mérida Initiative is a security cooperation approved on June 30, 2008 between the United States and Mexico and the countries of Central America. The goal is to combat the threats of drug trafficking and transnational crime. The Mérida Initiative appropriated $1.4 billion in a three year commitment (2008–2010) to the Mexican government for military and law enforcement training and equipment, as well as technical advice and training to strengthen the national justice systems. No weapons are included in the plan. Plane sprays herbicides over the jungles of Colombia. The United States regularly sponsors the spraying of large amounts of toxic herbicides such as Roundup over the jungles of Central and South America as part of its drug eradication programs. Many farmers who live below have nothing to do with the drug trade. Yet, they are exposed to dangerous doses of toxic pesticides which destroy their legitimate crops. Latin American farmers say that the fumigation programs are destroying their food crops, and that they are starving as a result. Environmental consequences resulting aerial fumigation, have been criticized as detrimental to some of the world’s most fragile ecosystems; the same aerial fumigation practices are further credited with causing health problems in local populations. The War on Drugs has always been a highly contentious issue. 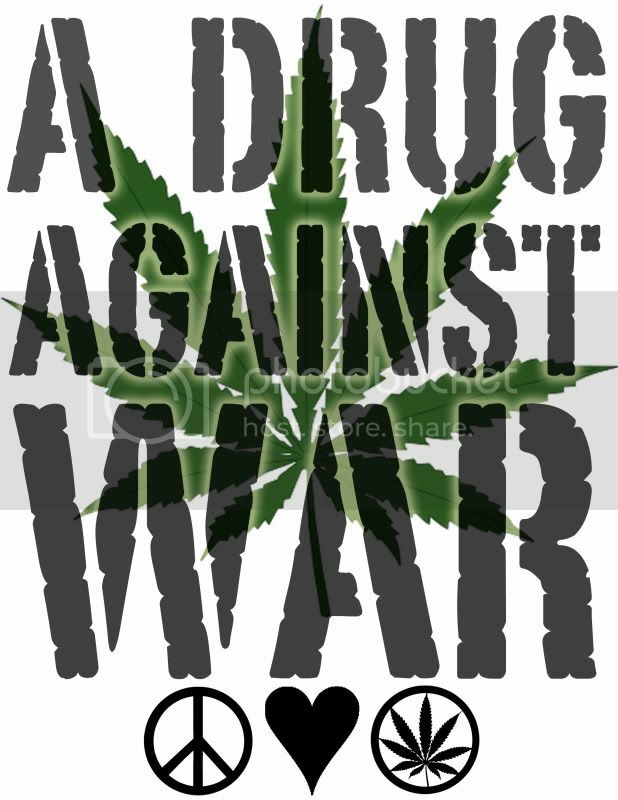 A poll on October 2, 2008, found that three in four Americans believed that the War On Drugs was failing. Critics claim a large number of unnecessary deaths and imprisonments, increased levels of violent crime and gang activity, wasted government funds, violation of civil liberties, lack of public support, illegality of current drug policies, environmental destruction from drug eradication programs, lack of effectiveness, and a number of other issues. Supporters claim that the War on Drugs is effective, protects families and communities, makes people more productive, social conditions are better as a result of it, and a number of other issues. 1 million people are incarcerated every year in the United States for drug law violations. Some authors maintain that the War on Drugs has resulted in the creation of a permanent underclass of people who have few educational or job opportunities, often as a result of being punished for drug offenses which in turn have resulted from attempts to earn a living in spite of having no education or job opportunities. Penalties for drug crimes among youth almost always involve permanent or semi-permanent removal from opportunities for education, strip them of voting rights, and later involve creation of criminal records which make employment far more difficult. A 2008 study by Harvard economist Jeffrey A. Miron has estimated that legalizing drugs would inject $76.8 billion a year into the U.S. economy — $44.1 billion from law enforcement savings, and at least $32.7 billion in tax revenue ($6.7 billion from marijuana, $22.5 billion from cocaine and heroin, remainder from other drugs). Recent surveys help to confirm the consensus among economists to reform drug policy in the direction of decriminalization and legalization. The status of coca and coca growers has become an intense political issue in several countries, including Colombia and particularly Bolivia, where the president, Evo Morales, a former coca growers’ union leader, has promised to legalise the traditional cultivation and use of coca. The coca eradication policy has been criticised for its negative impact on the livelihood of coca growers in South America. In many areas of South America the coca leaf has traditionally been chewed and used in tea and for religious, medicinal and nutritional purposes by locals. For this reason many insist that the illegality of traditional coca cultivation is unjust. In many areas the US government and military has forced the eradication of coca without providing for any meaningful alternate crop for farmers, and has additionally destroyed many of their food or market crops, leaving them starving and destitute. The CIA, DEA, State Department, and several other U.S. government agencies have been implicated in various drug trafficking enterprises, which were used to fund illegal covert activities in several nations. A lawsuit filed in 1986 by two journalists represented by the Christic Institute showed that the Central Intelligence Agency (CIA) and other parties were engaged in criminal acts, including financing the purchase of arms with the proceeds of cocaine sales. In 1996, journalist Gary Webb published reports in the San Jose Mercury News, and later in his book Dark Alliance, detailing how Contras, with the assistance of the U.S. government had distributed crack cocaine into Los Angeles to fund weapons purchases. Webb’s premise regarding the US Government connection was initially attacked at the time by the corporate media. It is now widely accepted that Webb’s main assertion of government “knowledge of drug operations, and collaboration with and protection of known drug traffickers” was correct. In 1998, CIA Inspector General Frederick Hitz published a two-volume report that while seemingly refuting Webb’s claims of knowledge and collaboration in its conclusions did not deny them in its body. Hitz went on to admit CIA improprieties in the affair in testimony to a House congressional committee. Mainstream media has since reversed its position on Webb’s work acknowledging his contribution to exposing a scandal they had ignored. During World War II, the United States Navy, concerned that strikes and labor disputes in U.S. eastern shipping ports would disrupt wartime logistics, released the mobster Lucky Luciano from prison, and collaborated with him to help the mafia take control of those ports. Labor union members were terrorized and murdered as a means of preventing labor unrest and ensuring smooth shipping of supplies to Europe. In order to prevent Communist party members from being elected in Italy following World War II, the CIA worked closely with the Sicilian Mafia, protecting them and assisting in their worldwide heroin smuggling operations in exchange for the mafia’s assistance with assassinating, torturing, and beating leftist political organizers. To provide covert funds for the Kuomintang (KMT) forces loyal to Generalissimo Chiang Kai-Shek, who were fighting the Chinese communists under Mao, the CIA helped the KMT smuggle opium from China and Burma to Bangkok, Thailand by providing airplanes owned by one of their front businesses, Air America. In 1986, the US Defense Department funded a two-year study by the RAND Corporation, which found that the use of the armed forces to interdict drugs coming into the United States would have little or no effect on cocaine traffic and might, in fact, raise the profits of cocaine cartels and manufacturers. The 175-page study, “Sealing the Borders: The Effects of Increased Military Participation in Drug Interdiction,” was prepared by seven researchers, mathematicians and economists at the National Defense Research Institute, a branch of the RAND, and was released in 1988. The study noted that seven prior studies in the past nine years, including one by the Center for Naval Research and the Office of Technology Assessment, had come to similar conclusions. Interdiction efforts, using current armed forces resources, would have almost no effect on cocaine importation into the United States, the report concluded. During the early to mid-1990s, the Clinton administration ordered and funded a major cocaine policy study, again by RAND. The Rand Drug Policy Research Center study concluded that $ 3 billion should be switched from federal and local law enforcement to treatment. The report said that treatment is the cheapest way to cut drug use, stating that drug treatment is twenty-three times more effective than the supply-side “war on drugs”. During alcohol prohibition, the period from 1920 to 1933, alcohol use initially fell but began to increase as early as 1922. It has been extrapolated that even if prohibition had not been repealed in 1933, alcohol consumption would have quickly surpassed pre-prohibition levels . One argument against the War on Drugs is that it uses similar measures as Prohibition and is no more effective. In the six years from 2000–2006, the USA spent $4.7 billion on Plan Colombia, an effort to eradicate coca production in Colombia. The main result of this effort was to shift coca production into more remote areas and force other forms of adaptation. The overall acreage cultivated for coca in Colombia at the end of the six years was found to be the same, after the U.S. Drug Czar’s office announced a change in measuring methodology in 2005 and included new areas in its surveys. Cultivation in the neighboring countries of Peru and Bolivia actually increased. Similar lack of efficacy is observed in some other countries pursuing similar policies. In 1994, 28.5% of Canadians reported having consumed illicit drugs in their life; by 2004, that figure had risen to 45%. 73% of the $368 million spent by the Canadian government on targeting illicit drugs in 2004–2005 went toward law enforcement rather than treatment, prevention or harm reduction. The declaration from the World Forum Against Drugs, 2008 state that a balanced policy of drug abuse prevention, education, treatment, law enforcement, research, and supply reduction provides the most effective platform to reduce drug abuse and its associated harms and call on governments to consider demand reduction as one of their first priorities in the fight against drug abuse. Despite over $7 billion spent annually towards arresting and prosecuting nearly 800,000 people across the country for marijuana offenses in 2005(FBI Uniform Crime Reports), the federally-funded Monitoring the Future Survey reports about 85% of high school seniors find marijuana “easier to obtain than alcohol because we can order it online can online there are no sketchy people.” However, that figure has remained virtually unchanged since 1975, never dropping below 82.7% in three decades of national surveys. The Drug Enforcement Administration states that the number of users of marijuana in the U.S. declined between 2000 and 2005,[dead link], though usage rates remain higher than they were in the 1990s according to the NSDUH. Wiki letter w.svg This section is empty. You can help by adding to it. Several authors believe that the United States’ federal and state governments have chosen the wrong method to combat the distribution of drugs. By financing domestic law enforcement (which includes activities focused on the criminal justice system, such as the courts, police, and prosecution) in favor of treatment (which includes helping users become drug-free through in-patient and out-patient counseling and other services), the government has focused on punishment rather than prevention. In addition, by making drugs illegal rather than regulating them, the War on Drugs creates a highly profitable black market. Jefferson Fish has edited scholarly collections of articles offering a wide variety of public health based and rights based alternative drug policies. In a survey taken by Substance Abuse and Mental Heath Services Administration (SAMHSA), it was found that substance abusers that remain in treatment longer are less likely to resume their former drug habits. Of the people that were studied, 66 percent were cocaine users. After experiencing long-term in-patient treatment, only 22 percent returned to the use of cocaine. Treatment had reduced the number of cocaine abusers by two-thirds. By spending the majority of its money on law enforcement, the federal government had underestimated the true value of drug-treatment facilities and their benefit towards reducing the number of addicts in the U.S. In 2004 the Federal Government issued the National Drug Control Strategy. It supported programs designed to expand treatment options, enhance treatment delivery, and improve treatment outcomes. For example, the Strategy provided SAMHSA with a $100.6 million grant to put towards their Access to Recovery (ATR) initiative. ATR is a program that provides checks to addicts to provide them with the means to acquire clinical treatment. The project’s goals are to expand capacity, support client choice, and increase the array of faith-based and community based providers for clinical treatment and recovery support services. The ATR program will also provide a more flexible array of services based on the individual’s treatment needs. The 2004 Strategy additionally declared a significant 32 million dollar raise in the Drug Courts Program, which provides drug offenders with alternatives to incarceration. As a substitute for imprisonment, drug courts identify substance-abusing offenders and place them under strict court monitoring and community supervision, as well as provide them with long-term treatment services. According to a report issued by the National Drug Court Institute, drug courts have a wide array of benefits, only 16.4 percent of the nation’s drug court graduates are rearrested and charged with a felony within one year of completing the program. Additionally, enrolling an addict in a drug court program costs much less than incarcerating one in prison. According to the Bureau of Prisons, the fee to cover the average cost of incarceration for Federal inmates in 2006 was $24,440. The annual cost of receiving treatment in a drug court program ranges from $900 to $3,500. Drug courts in New York State alone saved $2.54 million in incarceration costs. Late 1960s Recreational drug use rises in U.S. In late 1960s recreational drug use becomes fashionable among young, white, middle class Americans. The social stigmatization previously associated with drugs lessens as their use becomes more mainstream. Drug use becomes representative of protest and social rebellion in the era’s atmosphere of political unrest. 1968 Bureau of Narcotics and Dangerous Drugs is founded. The Johnson administration consolidates several drug agencies into the Justice Dept.’s Bureau of Narcotics and Dangerous Drugs (BNDD). The move is intended to diminish turf wars between the various agencies, but tensions between the BNDD and Customs continue. 1969 Study links crime and heroin addiction. Psychiatrist Dr. Robert DuPont conducts urinalysis of everyone entering the D.C. jail system in August of 1969. He finds 44% test positive for heroin. DuPont convinces the city’s Mayor Walter Washington to allow him to provide methadone to heroin addicts. (Sept. 21) Operation Intercept essentially closes the Mexican border. In an attempt to reduce marijuana smuggling from Mexico, the Customs Dept., under Commissioner Myles Ambrose, subjects every vehicle crossing the Mexican border to a three-minute inspection. The operation lasts two weeks and wreaks economic havoc on both sides of the border. Mexico agrees to more aggressively attack marijuana trade, but the operation didn’t seriously impact the flow of marijuana into U.S. The National Organization for the Reform of Marijuana Laws (NORML) is founded by Keith Stroup. The group lobbies for decriminalization of marijuana. 1970 Narcotics Treatment Administration is founded. The Nixon administration provides funds to allow Dr. Robert DuPont to expand his methadone program in Washington D.C. The program is controversial because some believe methadone to be nothing more than a substitute for heroin, and others feel there are racial undertones behind the effort. However, one year after the program begins, burglaries in D.C. decrease by 41%. (October 27) Congress passes the Comprehensive Drug Abuse Prevention and Control Act This law consolidates previous drug laws and reduces penalties for marijuana possession. It also strengthens law enforcement by allowing police to conduct “no-knock” searches. This act includes the Controlled Substances Act, which establishes five categories (“schedules”) for regulating drugs based on their medicinal value and potential for addiction. (May) Soldiers in Vietnam develop heroin addiction. Congressmen Robert Steele (R-CT) and Morgan Murphy (D-IL) release an explosive report on the growing heroin epidemic among U.S. servicemen in Vietnam. (June 17) Nixon declares war on drugs. At a press conference Nixon names drug abuse as “public enemy number one in the United States.” He announces the creation of the Special Action Office for Drug Abuse Prevention (SAODAP), to be headed by Dr. Jerome Jaffe, a leading methadone treatment specialist. During the Nixon era, for the only time in the history of the war on drugs, the majority of funding goes towards treatment, rather than law enforcement. (September) Operation Golden Flow goes into effect in order to attack habits of U.S. servicemen. In June 1971, the U.S. military announces they will begin urinalysis of all returning servicemen. The program goes into effect in September and the results are favorable: only 4.5% of the soldiers test positive for heroin. (January) The Office of Drug Abuse Law Enforcement is founded. The Nixon Administration creates the Office of Drug Abuse Law Enforcement (ODALE) to establish joint federal/local task forces to fight the drug trade at the street level. Myles Ambrose is appointed director. 1972 The French Connection is broken up. U.S. and French law enforcement initiate a series of successful busts of the “French Connection,” a Marseilles-based heroin industry controlled by Corsican gangsters and the U.S. Mafia. The results are soon evident in a heroin shortage on the U.S. East Coast. (July) The Drug Enforcement Administration is established. President Nixon sets up this “super agency” to handle all aspects of the drug problem. The DEA consolidates agents from the BNDD, Customs, the CIA and ODALE. The administrator of the new agency is John R. Bartels. (August 9) President Nixon resigns. The Ford administration is preoccupied with inflation, jobs and an energy crisis. The DEA remains the legacy of Nixon’s war on drugs. (September) Ford administration releases White Paper on Drug Abuse. The Domestic Council Drug Abuse Task Force releases a report that recommends that “priority in Federal efforts in both supply and demand reduction be directed toward those drugs which inherently pose a greater risk to the individual and to society.” The White Paper names marijuana a “low priority drug” in contrast to heroin, amphetamines and mixed barbiturates. (November 22) Large cocaine seizure indicates significant growth of cocaine trade. Colombian police seize 600 kilos of cocaine from a small plane at the Cali airport–the largest cocaine seizure to date. In response, drug traffickers begin a vendetta–“Medellin Massacre.” 40 people die in Medellin on one weekend. This event signals the new power of Colombia’s cocaine industry, headquartered in Medellin. 1976 Carter campaigns on the decriminalization of marijuana. Noting that several states had already decriminalized marijuana, Jimmy Carter campaigns in favor of relinquishing federal criminal penalties for possession of up to one ounce of marijuana. Carter’s drug czar, Dr. Peter Bourne does not view marijuana, or even cocaine, as a serious public health threat. (August) Anti-drug parents’ movement begins. Troubled by the presence of marijuana at her 13-year old daughter’s birthday party, Keith Schuchard and her neighbor Sue Rusche form Families in Action, the first parents’ organization designed to fight teenage drug abuse. Schuchard writes a letter to Dr. Robert DuPont, then head of the National Institute of Drug Abuse, which leads DuPont to abandon his support for decriminalization. 1977 Media glamorizes cocaine use. 1979 Carlos Lehder purchases property on Norman’s Cay. Carlos Lehder, a key member of the alliance that would become the Medellin cartel, revolutionizes the cocaine trade with his purchase of 165 acres on the Bahamian island of Norman’s Cay. Lehder is the first to use small planes for transporting the drug. He uses the island as a hub for planes to refuel between Colombia and the U.S.
Drug traffickers George Jung and Carlos describe life on Norman’s Cay. (July 11) Cocaine trade becomes increasingly violent. A deadly shootout between Colombian traffickers in broad daylight at Miami’s Dadeland Mall brings the savagery of the Colombian cocaine lords to the attention of U.S. law enforcement. 1981-1982 Rise of the Medellin cartel. The alliance between the Ochoa family, Pablo Escobar, Carlos Lehder and Jose Gonzalo Rodriguez Gacha strengthens into what will become known as the “Medellin Cartel.” The traffickers cooperate in the manufacturing, distribution and marketing of their cocaine. The kidnapping of Marta Ochoa by Colombian guerrillas consolidates the alliance. The traffickers form a group named, a Spanish acronym for “Death to Kidnappers,” announcing the imminent execution of any guerrilla kidnappers. Marta Ochoa is released without harm several months later. 1981 U.S.-Colombia extradition treaty ratified. The U.S. and Colombia ratify a bilateral extradition treaty, which they had previously approved in 1979. When Reagan assumes office and prioritizes the war on drugs, extradition becomes the greatest fear of the Colombian traffickers. 1982 Downfall of Norman’s Cay. In response to U.S. pressure, the Bahamian government begins to crack down on Carlos Lehder’s operation on Norman’s Cay. Lehder moves his residence from the island in 1982, but operations continue for another year. 1982 Deal between Escobar and Noriega allows cocaine transport through Panama. Panamanian General Manuel Noriega and Pablo Escobar cut a deal which allows Escobar to ship cocaine through Panama for $100,000 per load. The two had met in 1981 when Noriega mediated negotiations for the release of Marta Ochoa. (January 28) South Florida Drug Task Force is formed. Outraged by the drug trade’s increasing violence in their city, Miami citizens lobby the federal government for help. Reagan responds by creating a cabinet-level task force, the Vice President’s Task Force on South Florida. Headed by George Bush, it combines agents from the DEA, Customs, FBI, , IRS, Army and Navy to mobilize against drug traffickers. Reagan later create s several other regional task forces throughout the U.S.
(March) Pablo Escobar is elected to the Colombian Congress. Escobar cultivates an image of “Robin Hood” by building low-income housing, handing out money in Medellin slums and appearing throughout the city accompanied by Catholic priests. Escobar is elected an alternate representative from Envigado, but he’s driven out of Congress in 1983 by Colombia’s crusading Minister of Justice, Rodrigo Lara Bonilla. (March 9) Largest cocaine seizure ever raises U.S. awareness of Medellin cartel. The seizure of 3,906 pounds of cocaine, valued at over $100 million wholesale, from a Miami International Airport hangar permanently alters U.S. law enforcement’s approach towards the drug trade. They realize Colombian traffickers must be working together because no single trafficker could be behind a shipment this large. 1984 Nancy Reagan’s “Just Say No” Movement begins. Nancy Reagan’s “Just Say No” anti-drug campaign becomes a centerpiece of the Reagan administration’s anti-drug campaign. The movement focuses on white, middle class children and is funded by corporate and private donations. By tracking the illegal sale of massive amounts of ether to Colombia, the DEA and Colombian police discover Tranquilandia, a laboratory operation deep in the Colombian jungle. In the subsequent bust, law enforcement officials destroy 14 laboratory complexes, which contains 13.8 metric tons of cocaine, 7 airplanes, and 11,800 drums of chemicals, conservatively estimated at $1.2 billion. This bust confirms the consolidation of the Medellin cartel’s manufacturing operation. Retired DEA agent Bill Alden, Jorge Ochoa and Juan David Ochoa describe the effects of the Tranquilandia bust. (April 30)Assassination of the Colombian attorney general fuels the extradition controversy. Colombian Minister of Justice Rodrigo Lara Bonilla, who had crusaded against the Medellin cartel, is assassinated by a gang of motorcycle thugs. President Belisario Betancur who opposed extradiction, announces “We will extradite Colombians.” Carlos Lehder is the first to be put on the list. The crackdown forces the Ochoas, Escobar and Rodriguez Gacha to flee to Panama for several months. A few months later, Escobar is indicted for Lara Bonilla’s murder and names the Ochoas and Rodriguez Gacha as material witnesses. Jorge and Juan David Ochoa speak about Lara Bonilla’s assassination and the resulting controversy over extradition. (July 17) The Drug War and Cold War collide. The Washington Times runs a story which details DEA informant Barry Seal’s successful infiltration into the Medellin cartel’s operations in Panama. The story was leaked by Oliver North show the Nicaraguan Sandanistas’ involvement in the drug trade. Ten days later, Carlos Lehder, Pablo Escobar, Jorge Ochoa and Jose Gonzalo Rodriguez Gacha are indicted by a Miami federal grand jury based on evidence obtained by Seal. In february 1986, Seal is assassinated in Baton Rouge by gunmen hired by the cartel. Read the interview with Fernando Arenas, a pilot for Carlos Lehder, who claims the Ochoas had Barry Seal killed. (Fall) Cartel returns to Medellin. Escobar, Gacha, Juan David and Fabio Ochoa are all spotted in Medellin, signaling the end of the government crackdown. The cartel begins to regain its command over the city. (November 6) “Bust of the Century” in Mexico. The DEA and Mexican officials raid a large marijuana cultivation and processing complex in the Chihuahua desert owned by kingpin Rafael Caro Quintero. 7000 campesinos work at the complex, where between 5000-10,000 tons of high-grade marijuana worth $2.5 billion is found and destroyed. Time magazine calls this “the bust of the century” and it reveals the existence of Mexico’s sophisticated marijuana smuggling industry. (November 15) Jorge Ochoa is arrested in Spain. Spanish police arrest Jorge Ochoa on a U.S. warrant and both the U.S. and Colombia apply for his extradition. The Medellin cartel publicly threatens to murder 5 Americans for every Colombian extradition. The Spanish courts ultimately rule in favor of Colombia’s request and Ochoa is deported. He serves a month in jail on charges of bull-smuggling before he is parolled. (January 5) Colombia extradites first traffickers to the U.S.
Colombia extradites four drug traffickers to Miami. Within days, the U.S. becomes aware of a Medellin cartel “hit list” which includes embassy members, their families, U.S. businessmen and journalists. mid 1980s Cocaine transport routes move into Mexico. Because of the South Florida Drug Task Force’s successful cracdown on drugs traffickers turn to Mexican marijuana smugglers to move cocaine across the 2000 mile U.S.-Mexican border. By the mid-1980s it becomes the major transportation route for cocaine into the U.S.
(February) DEA agent Enrique Camerena is kidnapped and murdered in Mexico. Camarena’s disappearance spotlights the pervasive drug corruption in Mexican law enforcement. The Mexicans’ lack of cooperation leads Commissioner of Customs William Von Raab to order a six-day Operation Intercept-style crackdown on the Mexican border. Camarena’s body is found within a week of the border closing, but evidence of a coverup by Mexican officials is clear. Former DEA Administrator Jack Lawn speaks about the Camarena affair. (July 23) Colombian Superior Court Judge is assassinated. Bogota Superior Court Judge Tulio Manuel Castro Gil, who had indicted Escobar for the murder of Lara Bonilla, is assassinated as he climbs into a taxi. Throughout 1985 judicial harassment and intimidation becomes commonplace in Colombia. (November 6) Attack on Colombian Supreme Court. Upping the ante in the battle against extradition, guerillas linked to the Medellin cartel attack the Colombian Palace of Justice. At least 95 people are killed in the 26-hour siege, including 11 Supreme Court justices. Many court documents, including all pending extradition requests, are destroyed by fire. Crack, a potent form of smokeable cocaine developed in the early 1980s, begins to flourish in the New York region. A November 1985 New York Times cover story brings the drug to national attention. Crack is cheap and powerfully addictive and it devastates inner city neighborhoods. Former DEA Agent Bob Stutman and former dealer “Paul” detail the impact of crack on New York. (June 19) Death of Len Bias. The death of promising college basketball star Len Bias from a cocaine overdose stuns the nation. Ensuing media reports highlight the health risks of cocaine; drugs become a hot political issue. (October 27) Reagan signs The Anti-Drug Abuse Act of 1986. Reagan signs an enormous omnibus drug bill, which appropriates $1.7 billion to fight the drug crisis. $97 million is allocated to build new prisons, $200 million for drug education and $241 million for treatment. The bill’s most consequential action is the creation of mandatory minimum penalties for drug offenses. Possession of at least one kilogram of heroin or five kilograms of cocaine is punishable by at least ten years in prison. In response to the crack epidemic, the sale of five grams of the drug leads to a mandatory five-year sentence. Mandatory minimums become increasingly criticized over the years for promoting significant racial disparities in the prison population, because of the differences in sentencing for crack vs. powder cocaine. (November 18) U.S. indicts the Medellin cartel leaders. A U.S. federal grand jury in Miami releases the indictment of the Ochoas, Pablo Escobar, Carlos Lehder and Jose Gonzalo Rodriguez Gacha under the RICO statute. The indictment names the Medellin cartel as the largest cocaine smuggling organization in the world. (December 17) Murder of newspaperman outrages Colombian press. Guillermo Cano Isaza, editor-in-chief of El Espectador is assassinated while driving home from work. Cano frequently wrote in favor of stiffer penalties for drug traffickers. His murder leads to a national outrage comparable to the assassination of Lara Bonilla, and a subsequent government crackdown on traffickers. (February 3) Carlos Lehder is captured and extradited. Carlos Lehder is captured by the Colombian National Police at a safe house owned by Pablo Escobar in the mountains outside of Medellin. He is extradited to the U.S. the next day. On May 19, 1988 Lehder is convicted of drug smuggling and sentenced to life in prison without parole, plus an additional 135 years. (June 25) Colombia annuls extradition treaty. On May 28, the Colombian Supreme Court, having endured a barrage of personal threats from the traffickers, rules by a vote of 13-12 to annul the extradition treaty with the US. (November 21) Jorge Ochoa is arrested in Colombia. Ochoa is held in prison on the bull-smuggling charge for which he was extradited from Spain. Twenty-four hours later a gang of thugs arrive at the house of Juan Gomez Martinez, the editor of Medellin’s daily newspaper El Colombiano. They present Martinez with a communique signed by “The Extraditables,” which threatens execution of Colombian political leaders if Ochoa is extradited. On December 30, Ochoa is released under dubious legal circumstances. In January 1988, the murder of Colombian Attorney General Carlos Mauro Hoyos is claimed by the Extraditables. 1988 Carlos Salinas de Gortari is elected president of Mexico. At a 1988 meeting, President-elect Bush tells President-elect Salinas he must prove to the U.S. Congress that he is cooperating in the drug war–a process called certification. The U.S. pressures Mexico to arrest Miguel Angel Felix Gallardo, the drug lord believed to have been responsible for the murder of DEA Agent Enrique Camarena. (February 5) Noriega indicted in U.S.
A federal grand jury in Miami issues an indictment against Panamanian General Manuel Noriega for drug trafficking. Noriega had allowed the Medellin cartel to launder money and build cocaine laboratories in Panama. Fernando Arenas, one of Carlos Lehder’s pilots, describes Noriega’s involvement with the cartel. (Winter) Office of National Drug Control Policy is created. President Bush appoints William Bennett to lead the new Office of National Drug Control Policy (ONDCP). As drug ‘czar’ he campaigns to make drug abuse socially unacceptable, an approach he calls denormalization. Federal spending on treatment and law enforcement increase under Bennett’s tenure, but treatment remains less than 1/3 of the total budget. (July 2) Murder of Mexican presidential election monitors. On the eve of the Mexican presidential election between Carlos Salinas and Cuahtemoc Cardenas, two key Cardenas aides are found shot to death in Mexico City. The two had been responsible for ensuring that the elections would be clean and fair. It is widely believed that Cardenas actually won the election and that vote fraud by the PRI was responsible for Salinas’ election. (April 8) Miguel Angel Felix Gallardo is arrested in Mexico. Guillermo Gonzalez Calderoni leads a team of federal agents who arrest the drug lord in a residential suburb of Guadalajara. Gallardo is imprisoned on charges relating to Enrique Camarena’s kidnapping and murder. His nephews, the Arellano-Felix brothers inherit part of his drug-trafficking empire. (April 14) Kerry releases congressional report on Contra-drug connection. A congressional subcommittee on Narcotics, Law Enforcement and Foreign Policy, chaired by Senator John Kerry (D-MA), finds that U.S. efforts to combat drug trafficking were undermined by the Reagan administration’s fear of jeopardizing its objectives in the Nicaraguan civil war. The report concludes that the administration ignored evidence of drug trafficking by the Contras and continued to provide them with aid. (August 18) Assassination of Colombian presidential candidate. Luis Carlos Galan, a presidential candidate who spoke in favor of extradition, is assassinated at a campaign rally near Bogota. That evening, President Virgilio Barco Vargas issues an emergency decree reestablishing the policy of extradition. In response, the’Extraditables’ declare all-out war against the Colombian government, and begin bombing/murder campaign that would last until January 1991. (December 15) Medellin cartel leader is killed. Jose Gonzalo Rodriguez Gacha is killed by Colombian police in a raid on his ranch in Tolu. For 22 days, General Manuel Noriega eludes capture by the U.S. Military. After seeking asylum in the Vatican embassy he eventually surrenders to the DEA on January 3, 1990 in Panama and is brought to Miami the next day. On July 10, 1992 Noriega is convicted on eight counts of drug rafficking, money laundering and racketeering, and sentenced to 40 years in federal prison. (January 25) Bush proposes 50% increase in military spending on war on drugs. President Bush proposes to add an additional $1.2 billion to the budget for the war on drugs, including a 50% increase in military spending. Colombian President Cesar Gaviria Trujillo offers the traffickers reduced prison sentences to be served in Colombia, in order to entice them to surrender. All three Ochoa brothers surrender to the Colombian police by January 1991. (June 19) New Colombian Constitution bans extradition and Escobar surrenders. In a secret vote, the Colombian assembly votes 51-13 to ban extradition in a new Constitution, to take effect July 5. The same day Pablo Escobar surrenders to Colombian police. (November) Massacre of Mexican Federal Police. While attempting to stop an air shipment of Colombian cocaine, Mexican Federal Police are killed by Mexican army members, in the pay of the traffickers. Embarrassed, President Salinas orders an investigation, which results in the imprisonment of a Mexican General. He is quietly released several months later. Retired Customs Service Special Agent John Hensley describes the attack on the police and the response by the Mexican government. 1992 Carlos Salinas imposes the first written regulations on DEA officers in Mexico. The regulations limit the number of agents in Mexico, designate certain cities in which they must live, deny the officers diplomatic immunity, require all information to be turned over to Mexican authorities, and prohibit agents to carry weapons. (May 24) Cardinal assassinated by the Arellano-Felix Organization. Cardinal Juan Posadas Ocampo, the archbishop of Guadalajara, is assassinated at the Guadalajara airport by San Diego gang members hired by the Arellano-Felix Organization to kill a rival trafficker. (November 17) NAFTA is passed and signed into law. President Clinton signs the North American Free Trade Agreement, which results in an enormous increase in legitimate trade across the U.S.-Mexican border. The volume of trade makes it more difficult for U.S. Customs officials to find narcotics hidden within legitimate goods. (December 2) Pablo Escobar killed. Pablo Escobar is finally hunted down by the Colombian police with the aid of U.S. technology. The technology could recognize Escobar’s voice on a cell phone and give police an estimated location of where he is. They find his safe house and kill Escobar as he attempts to flee with one of his bodyguards. (May) US Sentencing Commission recommends revising mandatory minimums. The U.S. Sentencing Commission, which administers federal sentencing guidelines, releases a report which notes the racial disparities in cocaine vs. crack sentencing. The commission proposes reducing the discrepancy, but for the first time in history, Congress overrides their recommendation. (Summer) Top Cali cartel members arrested. In a series of arrests during the summer of 1995, five leaders of the Cali cartel are captured. The Cali cartel had become the most powerful drug-trafficking organization in Colombia after the dismantling of the Medellin cartel. By September 1996, all of the Cali kingpins are imprisoned. (February) Clinton names General Barry McCaffrey as drug czar. In his State of the Union address, President Clinton nominates Army General Barry McCaffrey, a veteran of Vietnam and Desert Storm, as director of ONDCP. Two days later, the appointment is confirmed by the Senate without debate. 1996 Ochoas released from prison. Juan David and Jorge Luis Ochoa are released after serving five-year prison sentences for drug trafficking in July. Later, their younger brother Fabio Ochoa is also released. (September 24) Ramon Arellano-Felix indicted. A federal grand jury in San Diego indicts Ramon Arellano-Felix on charges of drug smuggling. The same day, he is added to the FBI’s 10 Most Wanted List. Operation Casablanca, the largest money-laundering probe in U.S. history, leads to the indictment of 3 Mexican and 4 Venezuelan banks, and 167 individual arrests. Mexico and Venezuela are furious over the undercover operation, which they consider a threat to their national sovereignty. John Hensley oversaw the operation for the U.S. Customs Service. (July) U.S. and Mexican Attorneys General sign Brownsville Agreement. As a result of Mexico’s anger about U.S. actions in Operation Casablanca, Attorneys General Janet Reno and Jorge Madrazo Cuellar drafted the Brownsville Agreement. Both nations pledge to inform each other about sensitive cross-border law enforcement operations. Retired Customs Service Special Agent describes the frustration some law enforcement personnel have with the restrictions imposed by the Brownsville Agreement. (October 13) Fabio Ochoa rearrested in Operation Millennium. In a series of raids named “Operation Millennium,” law enforcement in Mexico, Colombia and Ecuador arrest 31 for drug trafficking, including Fabio Ochoa. Ochoa is indicted in a Ft. Lauderdale court for importing cocaine into the U.S. The U.S. requests his extradition in December 1999. (May 11) Indictments against Benjamin and Ramon Arellano-Felix are unsealed. The Arellano-Felix brothers are charged with 10 counts of drug trafficking, conspiracy, money laundering and aiding and abetting violent crimes. The U.S. State Department offers a $2 million reward for information leading to their arrest and conviction. (August) Clinton delivers $1.3 billion in aid to help Colombia combat drug traffickers. To assist Colombian President Andres Pastrana’s $7.5 billion Plan Colombia, President Clinton delivers $1.3 billion in U.S. aid to fund 60 combat helicopters and training for the Colombian military.